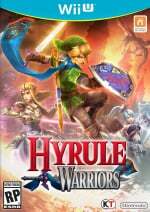 As the Wii U moves into a hugely significant period of releases over the remainder of 2014, it'll be Hyrule Warriors that will, appropriately considering its genre, lead the charge of major retail releases. Already released in Japan and arriving soon in North America and Europe, it's a unique crossover of The Legend of Zelda and the Dynasty Warriors franchises that'll bring high-octane action to Hyrule. In some respects it's shaping up to be a fan's dream, with a large cast of playable characters — good and evil — and the licence to string together stylish combos to crush hundreds of enemies. With release imminent we caught up for a chat with Eiji Aonuma of Nintendo, the long-time Zelda producer and supervisor on Hyrule Warriors, and Yosuke Hayashi of Koei Tecmo, development producer on the title whose CV includes Metroid: Other M, Ninja Gaiden 3: Razor’s Edge, and Dead or Alive: Dimensions to learn more and to clarify how many tea tables were upended by Shigeru Miyamoto during development. How did the partnership for this game between Koei Tecmo and Nintendo first come about? Yosuke Hayashi: We’ve worked together with Nintendo before. For this project, Koei Tecmo asked Nintendo if we could put our efforts together on a game that Nintendo wouldn’t necessarily have been able to do on the Wii U alone. Mr. Aonuma, in the past you’ve mentioned that you happened to be playing a Musou game when Koei Tecmo approached you. Did that affect how you approached the game you were playing at the time, thinking of how it could fit the Zelda series? Aonuma: At the time I was playing a Musou collaboration game called One Piece: Pirate Warrior. In this game, you are fighting a battle where there are many bases on the battlefield, and you have to figure out what order you take the bases in — and also the timing in which certain things occur. This is not something that had been in previous Zelda games, and so it was a very exciting idea for me to connect with. We wanted a collaboration that would allow us to do the things that Koei Tecmo does really well. We felt that this collaboration fit that mould. Mr Hayashi, you had mentioned that Koei Tecmo had been thinking about pitching a game that perhaps Nintendo couldn’t necessarily develop themselves. This ultimately resulted in Hyrule Warriors, but were there other Nintendo franchises that you had considered as well? Hayashi: We wanted a collaboration that would allow us to do the things that Koei Tecmo does really well. We felt that this collaboration fit that mould [from the beginning], so we didn’t really consider other franchises at the time. Did it seem that this crossover of Zelda and Musou gameplay always seemed like a natural fit, or was it challenging in the early stages to combine the two franchises into a cohesive experience? Aonuma: At first, when Hayashi-san approached me, he wanted to make this title closer to a Zelda game than a Dynasty Warriors game — that extended to having boss battles in the dungeons and [having] certain characters in the game. However, Mr. Miyamoto came along and up-ended the tea table, saying, “No, that should not be the case. What we’re doing here is grafting Zelda onto the Dynasty Warriors experience.” It was a reversal of the original proposal from Hayashi-san, which was adding elements of Dynasty Warriors onto the Zelda franchise. It ended up being the other way around based on Miyamoto’s direction. 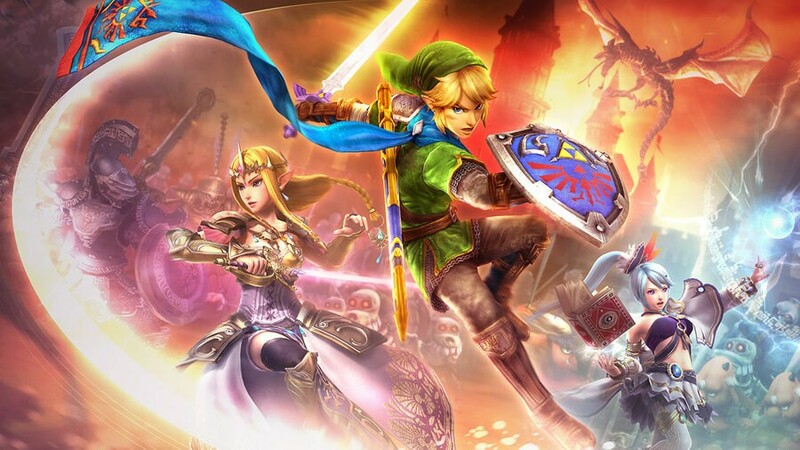 As a crossover title, Hyrule Warriors has plenty of source material to draw from, but also two separate franchise identities with which to stay faithful. How did you approach combining these two franchises while still staying true to their individual identities? Hayashi: This relates a bit to when Mr. Miyamoto stepped in to overturn the tea table. It was really trying to strike that balance of making a game that Zelda fans will enjoy that is different from a typical Zelda game, that has enough elements that people will enjoy but also not losing Zelda fans. We ourselves are Zelda fans as well, so we had to ask ourselves the question of what is it that makes a Zelda game, and how many of those elements do we need to include. Up until the very end, we kept adding different elements to the game until we struck a balance that we were happy with. Which elements did you know first that you needed to preserve? What do you feel is required for a Zelda game? Hayashi: I can’t identify just one element that would make a Zelda game a Zelda game. The Zelda world is usually a big adventure, and it’s about many experiences. One of the things that I think is required by a Zelda game is, for example, the loading scenes, which we kept — like the first scene where you come upon a treasure box and you have Link, or whoever, lifting the item up from the treasure box. But we realized we needed more than just that, so we ended up adding more and more aspects that were Zelda-esque — for example, the sound effects and animations that people are familiar with from the franchise. The game’s combat looks like a natural fit for Dynasty Warriors. 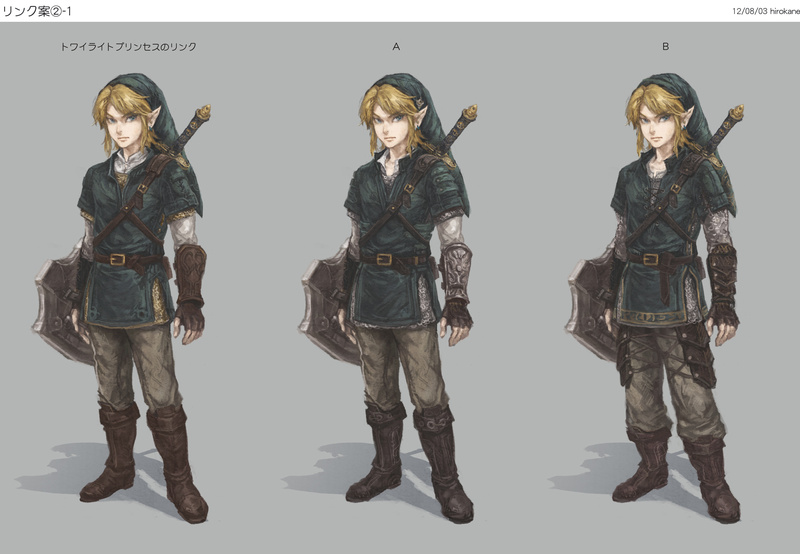 Were there any particular challenges to produce movesets for Zelda characters? Hayashi: We wanted to preserve the combat mechanics from the Dynasty Warriors series, and that’s what we did as far as ease of mechanics — we wanted to preserve that aspect of the series. Some of the movesets we wanted to reference the Zelda franchise — a lot of people are familiar with those movesets. We think it’s a game where people are really going to enjoy seeing and recognizing the actions when they happen. Aonuma: Looking at comments on Miiverse from Japan, a lot of people really like the aspect that is familiar in Zelda games where you lock on to and target the opponent. There are lots of playable characters — far more than a usual Zelda game, which is typically just Link. How did you decide which characters to make playable? What types of traits did you look for? Hayashi: The first and most important thing is that we decided to choose characters that we thought Nintendo fans would want to play — that was the No. 1 criteria. And then, after that, we added some unique features to those characters. But really, it was characters we thought that fans would like to play as. Aonuma: Some of the characters, we had a really hard time imagining them fighting on the battlefield at all. For example, Agitha from Twilight Princess, how we [were] going to make her a playable character. And I think that with this collaboration, we did a good job making these characters — who wouldn’t normally fight — fun as playable characters. Let’s talk a little about Adventure Mode. How did the concept for that come together? Hayashi: There’s a Legend Mode in the game that allows you to play through all the chapters sequentially. We also wanted to include something for people after they’ve completed that, which harkens back to the NES days where you would just play screen by screen, and in each screen you [would have a] mission. Long-time fans are familiar with that type of gameplay — for example, you have a bomb and need to figure out which wall to blow up in order to proceed. Old fans who are familiar with the NES games will be able to use their knowledge of those games. I also think that this is a fun aspect for new fans as well, so you won’t necessarily need that whole knowledge. As our time draws to an end, do you have any closing thoughts? Hayashi: I played Zelda games before becoming a developer and I liked them a lot — I played all of them. Now, as a developer working on a Zelda game, I really felt a lot of pressure to achieve the high bar that the Zelda series has set. That was something that I’ve been very aware of as I’m developing. I’m pleased that Zelda fans in Japan like what they’re seeing with Hyrule Warriors since it’s been out. I think the idea that this is an action-paced Zelda game has come through to the market as well, and I hope that it is as well received in Europe and North America. I’m looking forward to it doing really well in those markets. Aonuma: Looking at the comments on Miiverse regarding Hyrule Warriors, it’s been great to see a lot of positive feedback. But one of the things that leaves me with rather complicated feelings is that people are saying, “Oh wow, I really love the cutscenes in this game! This is better than the stuff Nintendo does!” Of course, that leaves me a little conflicted, and gives me a mission now to make sure that the new Zelda game that I’m working on can hold its own in that aspect against Hyrule Warriors! A hearty thank-you to Mr. Aonuma and Mr. Hayashi for their time, the translators, and Nintendo of America for organising the interview. When this was first announced I wasn't too enthused but they've done a great job of building hype. I can't wait to play this later in the month! Eji Anouma got inspired from playing One Piece: Warrior? A game that's licensed?????? I thought majority of licensed games were bad and mediocre at best!!!!!!
" “Oh wow, I really love the cutscenes in this game! This is better than the stuff Nintendo does!” Of course, that leaves me a little conflicted, and gives me a mission now to make sure that the new Zelda game that I’m working on can hold its own in that aspect against Hyrule Warriors!" One of my firsts thoughts upon seeing this mash-up was - well, the new Zelda game is going to seem slow and boring and devoid of enemies after this. Fortunately the new Zelda trailer has a giant robot mech fast moving bomb shooting thing, so slow and boring is out of the equation. @rjejr If they will be able to mix the funny stealth gameplay seen in Windwaker with the insane action of this spin-off, then the next Zelda U will be the best ever! @andreoni79 - "funny stealth gameplay seen in Windwaker"
I have to say I wasn't really a big fan of WW HD. I spent the entire game complaining that Link was jumping and swinging all over the place w/o a jump button. The story and graphics were nice, but I wasn't fond of the playing part. I do have very high hopes for the new one, I realize WW was a 10 year old game, but I'ld rather watch a playthru on Youtube than actually play it again. This interview has been basically done so many times. Many other websites have asked these same questions in these types of interviews regarding Hyrule warriors. Way to be original Nintendo life. @AdmiralThrawn We aim to please. I thought it was a good interview. I should be a little more forgiving of Nintendo on this because they aren't used to doing crossovers with other companies' established franchises, so it's a learning experience, but then again we have Metroid Other M to consider. In the end, I just can't muster up enough enthusiasm for this game, but fortunately I have all the hype of a Bayonetta 2 release to look forward to. Good interview I was starting to miss the flood of details that stopped with the Japanese realease so its good to see some nice hyrule warriors content today. @rjejr The cartoon Link had wonderful expressions; maybe I love WW so much because I still laugh hard at his scary face when he walks on a edge of the wall! And his eyebrows...!!! "I spent the entire game complaining that Link was jumping and swinging all over the place w/o a jump button." Which Zelda games are your favorite? All the 3D Zeldas are similar in this regard unless I'm not getting your meaning. After playing the demo at gamestop, I'm absolutely hyped! @JonWahlgren Bahahaha brilliant response! & great interview too. 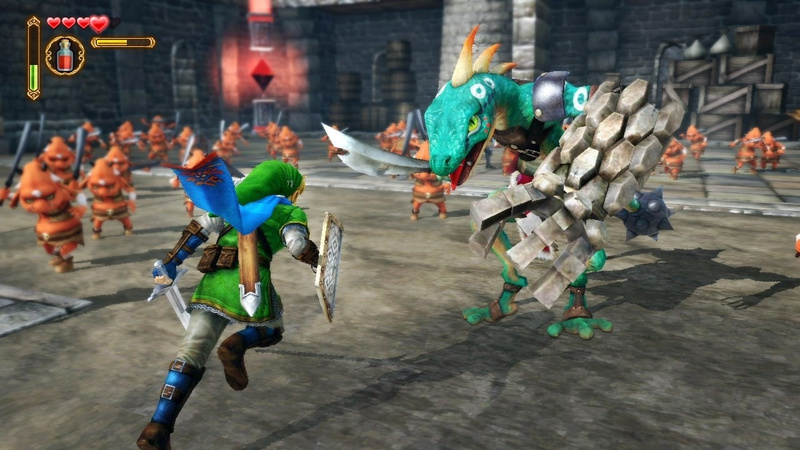 Can't wait for Hyrule Warriors! @Action51 Capcom did fine with Zelda they should have let them do what they wanted to do. @aaronsullivan - Twilight Princess. Somewhat open world. Memorable set pieces. Good graphics. Entertaining storyline. I don't recall any control issues, not even the waggle. (played on Wii) I thought Skyward Sword was lacking in almost every way, but even then I don't recall any control issues. Majora's Mask has that time management component I'm not a big fan of but I don't recall any control issues there either. Oh, and besides the jumping and swinging I hated all the difficult backtracking. I know every game ever made has a lot of backtracking, but I'm used to always finding a shortcut after getting there. Every single time going to that Deku tree it's fight the plants, swing over the water, climb up all the little waterfalls. Then after that to get to the jungle you have to shoot up all those stupid plants every single time. I like it when ladders fall down or hook shot locations appear. I swear I was ready to chop down that tree and burn it to ashes. After watering all his saplings he could have at least lifted me up to the path to get to the jungle. I still have 1 unopened chest in that jungle I never went back to - had to climb the rope but didn't know how at the time - and it pains me not to get it, but I just don't want to make that trip again. I have faith in the new hardware that Zelda U will be vastly superior to the rest. Just got a Wii U yesterday! I'm excited for this game when it comes out. Can't wait. Still can't believe Zelda got a Dynasty Warriors gameplay. Then again, Fist of the North Star and Gundam got it before then. @andreoni79 - "when he walks on a edge of the wall!" I hated that too. He slideled more often when he wasn't supposed to then when he was supposed to. I like the idea, but you had to be just the right spot to press A, and he never dismounted very well. Still much better than jumping though. Wow, what a cool interview. I'm super excited for Hyrule Warriors. I preordered from Amazon for the Twilight Princess costumes. Where are the (laughs)?! Anyway, good interview Jon. I plan to get this game as soon as my wallet let me do it. Am i the only one wishing one day Nintendo buys Koei Tecmo? @Mega719 Wouldn't hurt. Maybe get One Piece's Pirate Warriors on the console, since I saw Fist of the North Star: Ken's Rage 2 in the eshop. @Jahir There was one (laugh), but I don't speak Japanese so I don't know what the (laugh) was about! I would buy this, if i had a Wii U. Love the 'warriors' games. @JonWahlgren (Throws hands up) Thats fine with me. This is why Miyamoto is the boss. 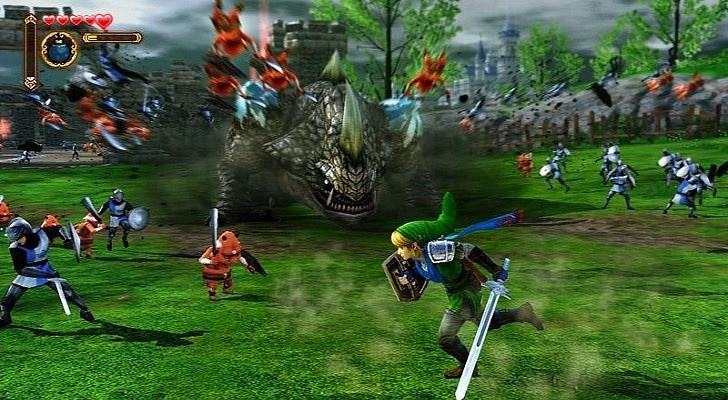 Making a Zelda game with DW elements would only disappoint Nintendo fans for having one of their most beloved franchises infected with DW - we'd rather have a regular Zelda game. But now (at least in my eyes), the DW franchise has been made worth checking out by adding Zelda elements to it. Considering it's a Wii U exclusive, this was the best decision. Warriors games were and are still poopoodoodoocacapoopledooples, but i will buy it because it has Zelda skin in it. Warriors games are, generally speaking, not my thing. Still "Dynasty Warriors: Gundam" got me, and I'll be picking this up too. Maybe not day one, though... Depends on how "Destiny" holds up after a few weeks. I just came back from playing the demo and WOW. Very fun with just a bit of challenge like with the bosses. Time and effort was definitely put into it. Seriously Zelda wii u looks a lot better than hyrule warriors, you have nothing to worry about Eiji Aonuma, can't wait for both but I know which one is going to look better. Zelda has never really had a jump button. Sure there have been items that help you jump, the cape I believe. But a dedicated jump button, not so much. I'm still not smitten by this game. I'm getting it for the fan service (I enjoy fan service, bite me) but in regards to core mechanics (gameplay, visuals, audio) - nothing. It looks 360 - not terrible, but going for that art style means it will get dated quick. I'm not a Musuo guy. Hack and slash has it's appeals but the base set up turns me off. I'd rather just have a huge field of baddies than a map with 'strategic' points that I have to operate through with mindless drones for allies. Even in the fan service area I feel it falls short. I don't feel the 'balance' is quite there. I don't see any real cross over - I see Warriors Orochi 4 with Zelda skins, weapons and levels. There is no 'Zelda' here. I was actually kind of pissed off when the guy says "what makes a Zelda game? Oh the animations da da da da!" I call horse crap on that. @Fazermint Well said. If you like the two series than this will be a real shoe in! I'll wait for reviews on this one. Looks pretty cool, but I'm buying an Xbox One soon and don't think I'll have enough time to play this, Disney Infinity 2.0, Bayo 1 and 2 AND Sunset Overdrive. I think I'm going to play through that one again next, though. I do love it. Glad to hear that controls weren't an issue in Skyward Sword, but I really love that game. It felt a bit hemmed in and directed even though technically it was very similar to Twilight Princess and the others. I just really enjoyed the characters and the relationship between Link and Zelda and I got a kick out of Groose. Story was great. I've played that through a few times I think now. Got to play some Hyrule Warriors this weekend at Target and GameStop. Demo is so bad. I think the game has some great potential, but the demo does not give you enough direction to get you having fun fast. The attacks seem silly and useless at first. Maybe if I had played some Warriors games I'd have gotten it quicker. Still, once you get to some of the larger enemies and have little mini-missions to help out certain heroes or areas it gets interesting. I think it could be really fun. Like Wonderful 101 though I'm not sure if the demo is going to be helpful or hurtful. Man I can't wait for this to come out, It's a day one buy. @whanvee - "Zelda has never really had a jump button." I'm fine w/ no jump button, I mostly play JRPGs and only recently have they had jump buttons, often getting a god laugh at protagonists who can fight giant monsters but not step over a sidewalk, but WW had so much jumping, even his home island had a rock bridge to cross, that it really should have had one. @aaronsullivan - The article is about the next Zelda game being as good as HW, we're talking about the controls in past Zelda games and going forward, that's about as on topic as I can be, surely you've seen some of my completely off-topic rambling posts? Speaking of past Zelda games, how do you think I would find OoT having already played TP? I watched a few trailers for OoT after playing TP and I didn't see enough of a difference to bother, they look so so similar to me. Honestly I'ld rather be playing Wario World (which I only found out was a real game about 11 hours ago) but it seems impossible to find. Nintendo needs to make a Gamecube VC on the Wii U so I can pay $12 to play that. Ok, now I'm off topic. Sorry you didn't like the demo. Do you play those types of games? I never liked them myself until I had two sons, now it's all about the massive wanton mindless destruction. That and watching DBZ is why I had sons. I was more worried about my own rambling off-topic. ;P Do as you please, of course! You might find OoT frustrating in that the 30 fps makes it all feel a little more unforgiving to control but that is the classic. The length of the game, the dungeons, the characters, the amazing original translation of the 2D Zeldas to 3D. It's classic stuff so it's hard for me not to recommend it. On the other hand our taste in Zelda games seems pretty different. As for the Demo it's just the implementation of the demo itself. I think it's just the first level with few alterations. When someone in a store is trying to see if they like the game on a time limit, it needs to have a more directed approach, IMO. Show me the fun quickly instead of me spending most of my time sort of floundering around. I think I could really enjoy the game. My one criticism is that the controls are so "digital". Your character moves at a constant rate and can immediately move in the opposite direction at full speed. As a result, your chracter has no feeling of momentum or weight which is weird for me in a game about big powerful moves and such. In addition while adjusting approach the camera has a hard time automatically keeping up and aiming is haphazard. Fortunately there is z-locking on the bigger guys. @aaronsullivan - "no feeling of momentum or weight"
That would be weird. Those games usually have the small fast sword guys and the slow plodding hammer/fist guys. Im looking forward to Lana, Darunia and Ganadorf b/c they seem the most different. Oh well, destroying everything in my path shall not be denied! @rjejr I should mention I only played Midna both times I played. @aaronsullivan - She's a small girl riding on a big wolf w/ giant Bayonetta weapons appearing magically out of her head, I can't even imagine the thought processes behind figuring out the physics for her. Actually, I wish Sigeru would have left alone the table. The original The Legend of Zelda games were very combat-oriented, puzzles being little more than mazes and hidden rooms. Around the time The Legend of Zelda: the Wind Waker was released, the gameplay had taken a slower pace, balancing battle with puzzles. Had Yosuke been allowed to do the game he wanted, he would have recaptured the older fans of the games that did not like the new direction that tha newer games had been going. Besides, given how the faster-paced, puzzle-free/reduced games were ridiculously popular, I doubt that Yosuke would have that much trouble selling his take on the series. After all, people are more excited with Dynasty Warriors than the to-be-released game of The Legend of Zelda to the Nintendo Café. But one of the things that leaves me with rather complicated feelings is that "people are saying, “Oh wow, I really love the cutscenes in this game! This is better than the stuff Nintendo does!” Of course, that leaves me a little conflicted, and gives me a mission now to make sure that the new Zelda game that I’m working on can hold its own in that aspect against Hyrule Warriors!" Lets see what they will cook up!